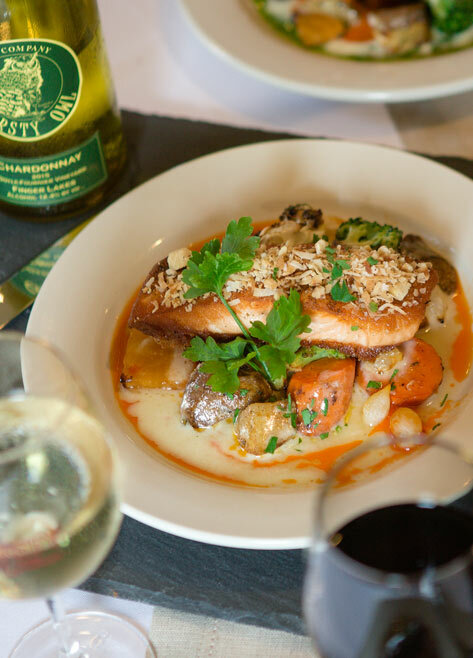 Our Bistro is CLOSED for the season - reopening soon! Check back here and on our Facebook page for hours and details. 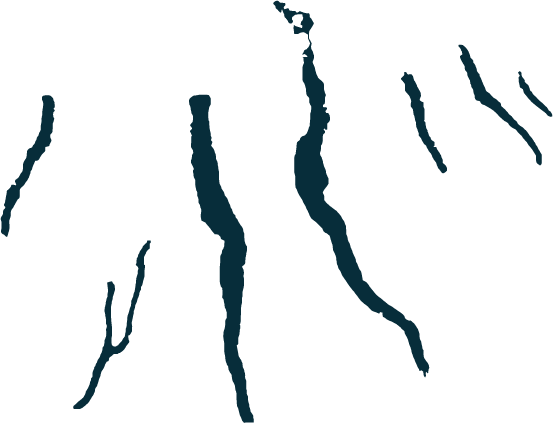 Welcome to Thirsty Owl Wine Company, home of some of the oldest vinifera vines in the Finger Lakes region of New York. 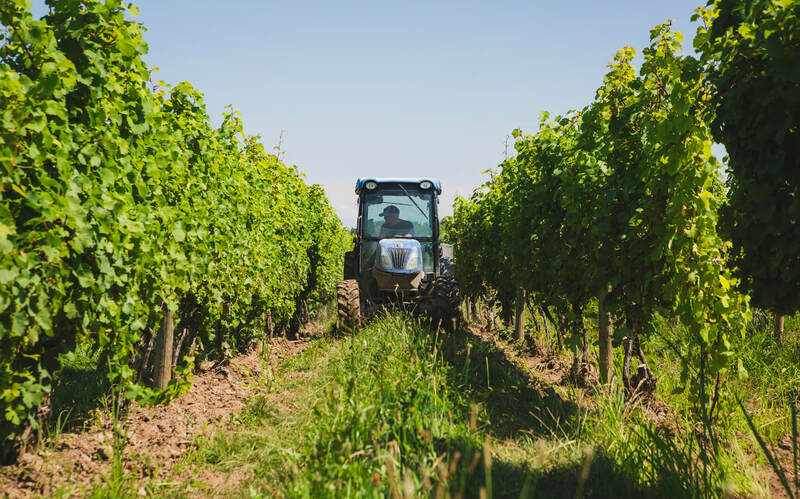 Come experience the beauty of our vineyard, spanning 150 acres nestled on the western shore of Cayuga Lake. 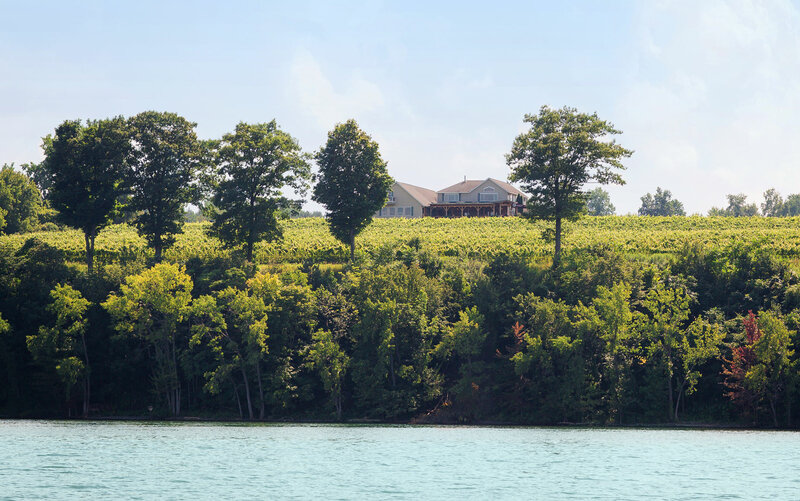 With over 2,000 feet of lake frontage, we are dedicated to producing award winning wines of several varietals. 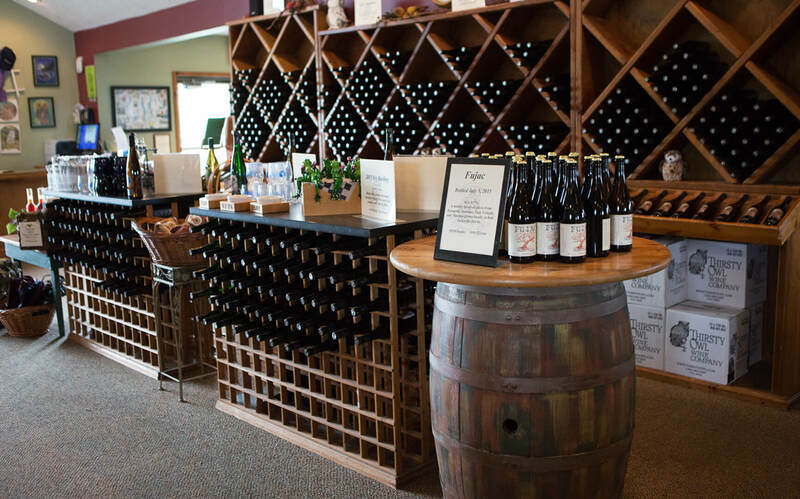 Enjoy our wines in a fun, friendly atmosphere with a knowledgeable staff and a breathtaking view. A summery white with bright, citrus aromas. 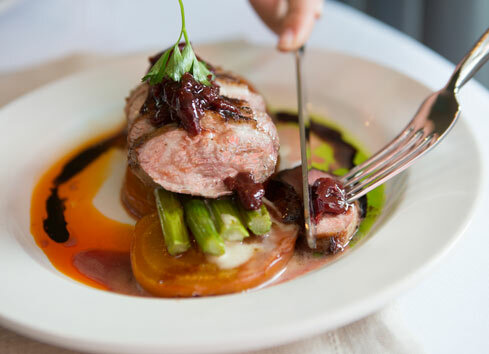 Flavors of strawberry and red currant, accented by hints of oak and earthy undertones. Aromas of tangy green apple, medium-bodied with mild oak. 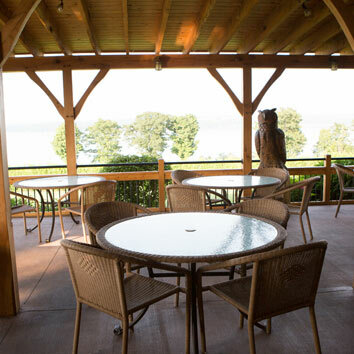 The Bistro at Thirsty Owl offers a unique outdoor dining experience with spectacular views of Cayuga Lake overlooking our vineyards. 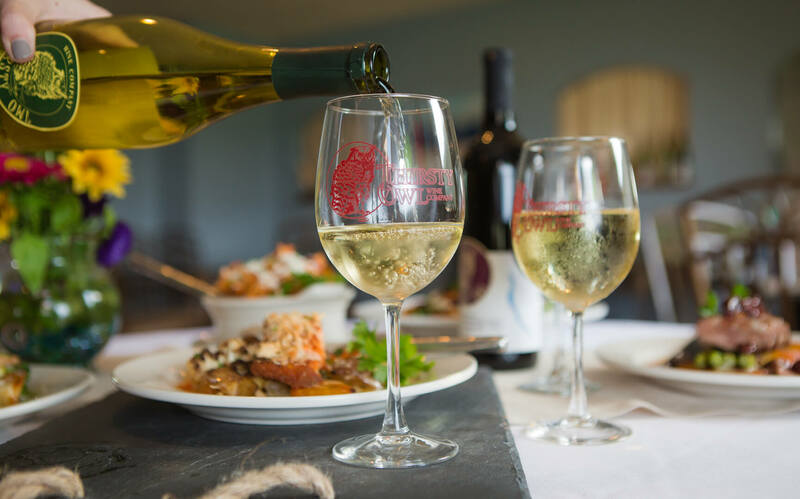 Enjoy a glass of wine and delectable seasonal menu options made with local ingredients – whether you’re looking for a casual lunch or to hold a larger gathering, we provide a true Finger Lakes culinary delight guaranteed to enhance your visit to this beautiful wine region. 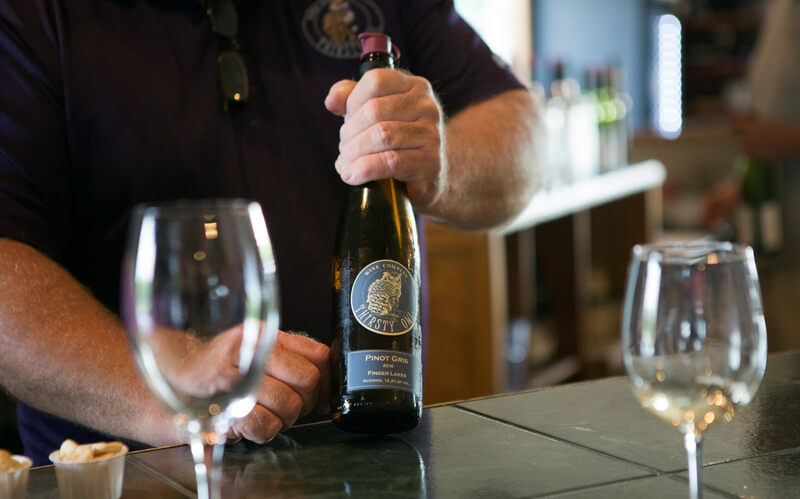 We invite our visitors to enjoy our wines in the beautiful region of the Finger Lakes – our location showcases breathtaking views of Cayuga lake and our working vineyards for a truly unique wine country experience. Arrive by boat! 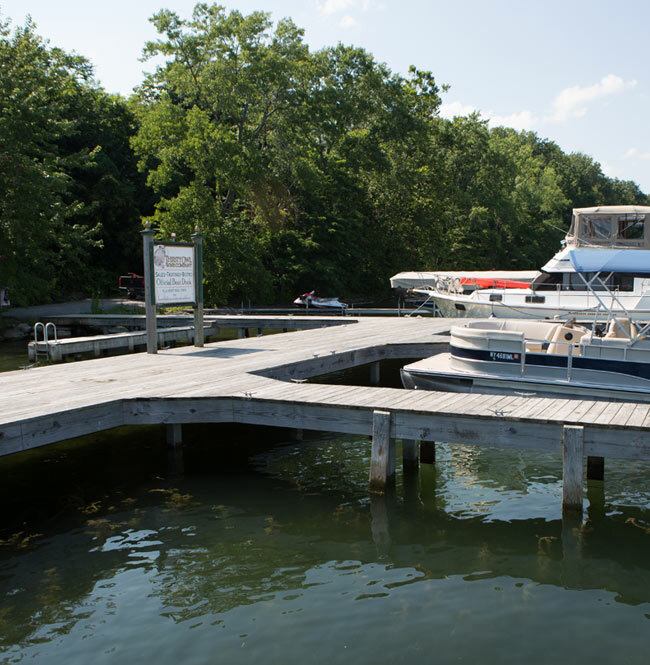 Our winery is one of the few on Cayuga Lake that offers a 14 slip dock to park your boat. 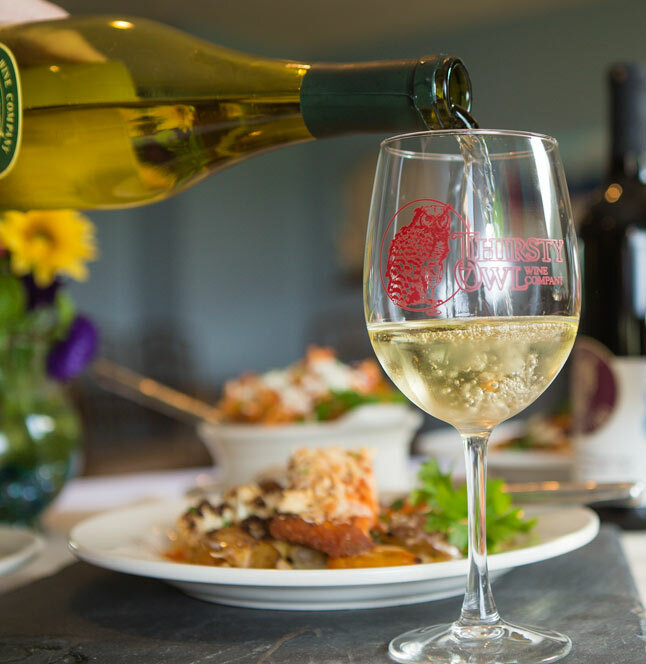 Rides up to the vineyard based on availability and weather – please call our tasting room at 866-869-5805 for transportation to the winery. It’s also a pleasant half mile (uphill) walk to get to our tasting room from the boat dock. 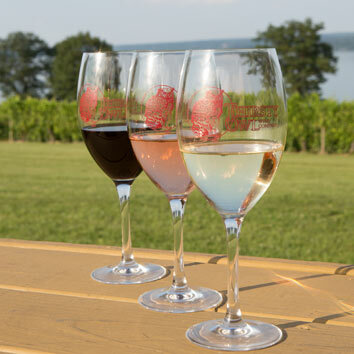 Thirsty Owl Wine Company proudly produces quality, memorable wines in a friendly atmosphere, amidst a spectacular view of Cayuga Lake.